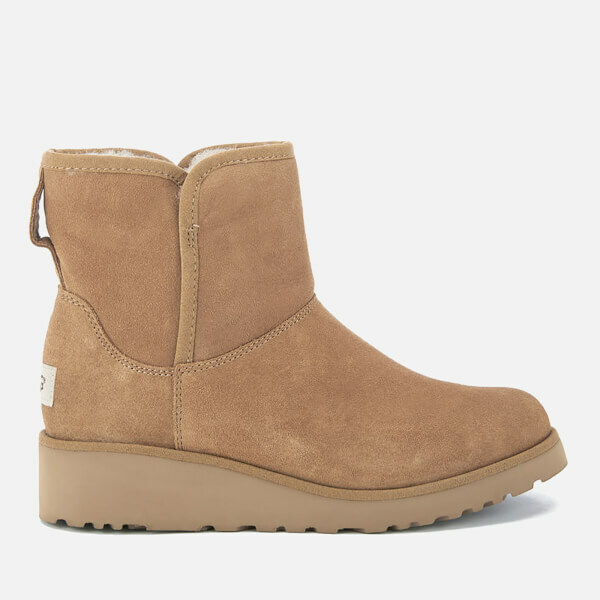 Tan, Classic Slim™ boots from UGG. Crafted from luxurious, pretreated suede and lined with plush sheepskin, the ‘Kristin’ boots feature an UGGpure™ wool insole offering high levels of comfort, a lightweight ‘Treadlite’ outsole for maximum traction, flexibility and cushioning and a small wedge heel. The slip on ankle boots comprise a rounded toe, tonal stitching and a rear pull. 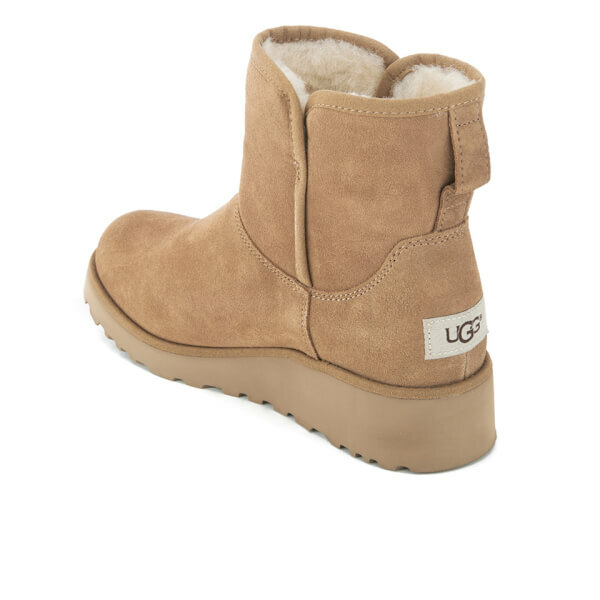 Complete with a signature UGG label appliquéd to the heel. Upper: Suede. Lining: Sheepskin. 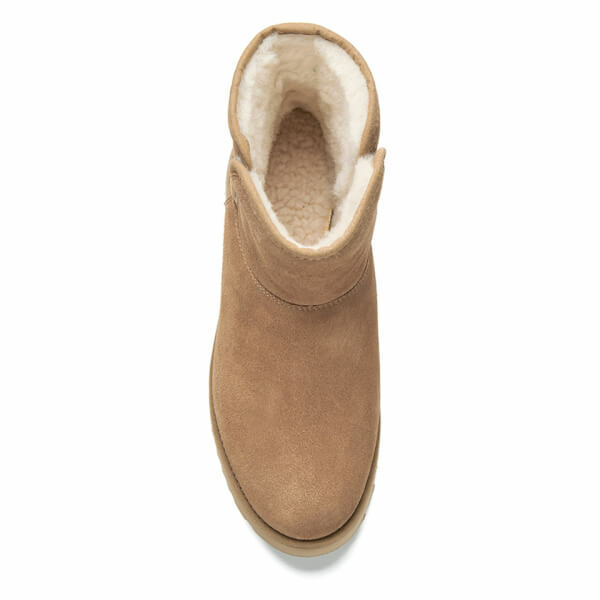 Insole: UGGpure™ Wool. 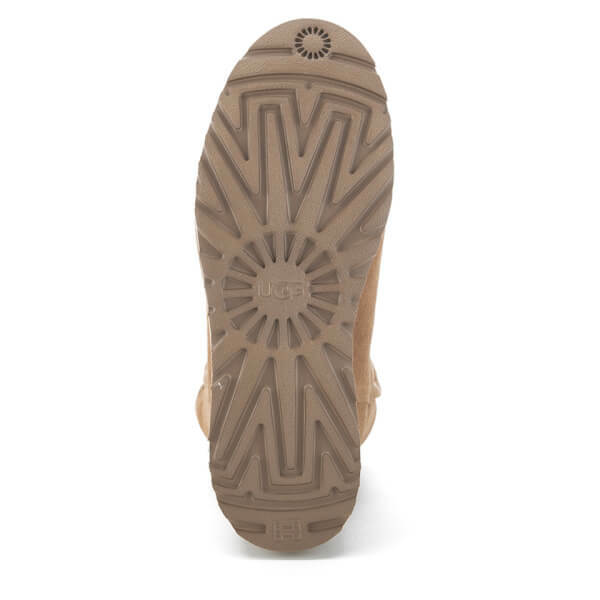 Sole: Treadlite/Rubber. 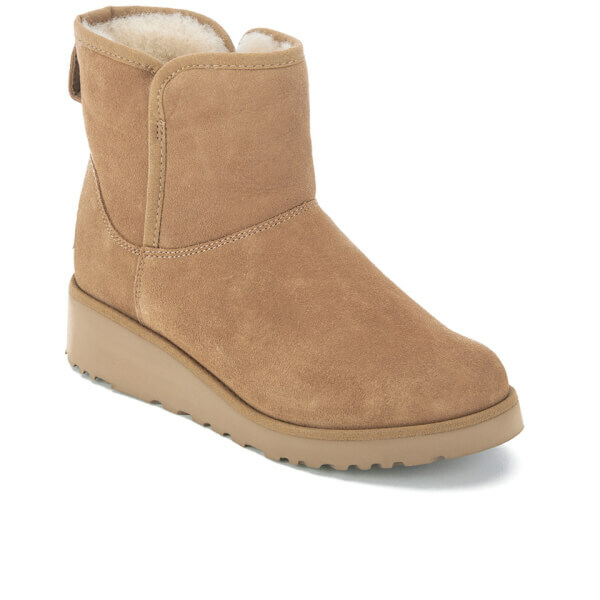 These uggs are really lovely , slimmer than the originals, bit different and a bit of a wedge. Mine had a Mark on but all sole organised a courier to collect , just waiting to hear about some replacements.